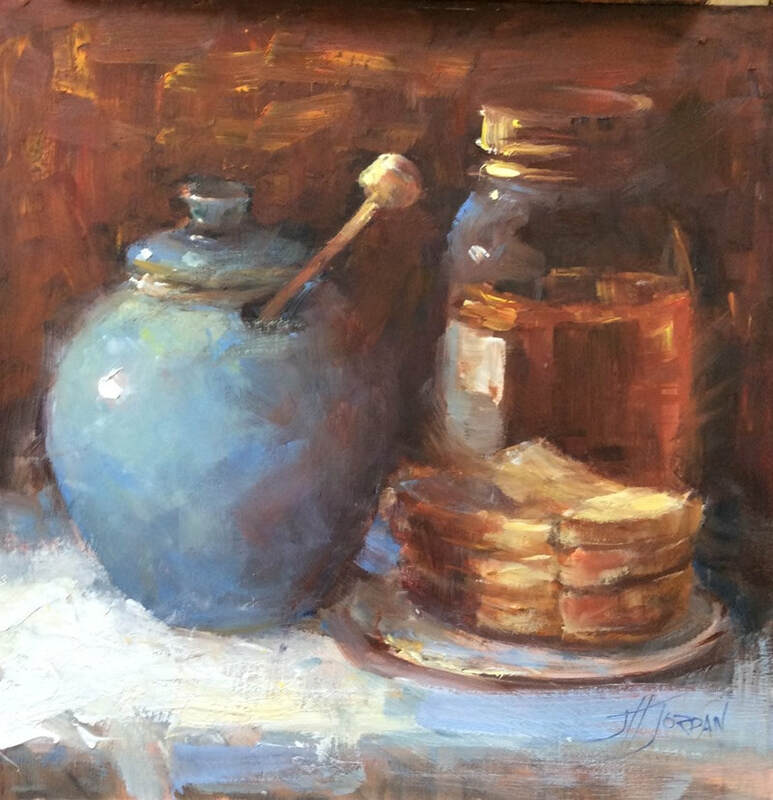 Honey and Bread, oil, 12"x12"
The Lady and The Cowboy, oil, 30"x40"
I strive to paint light forced onto the canvas in both landscapes and still life. 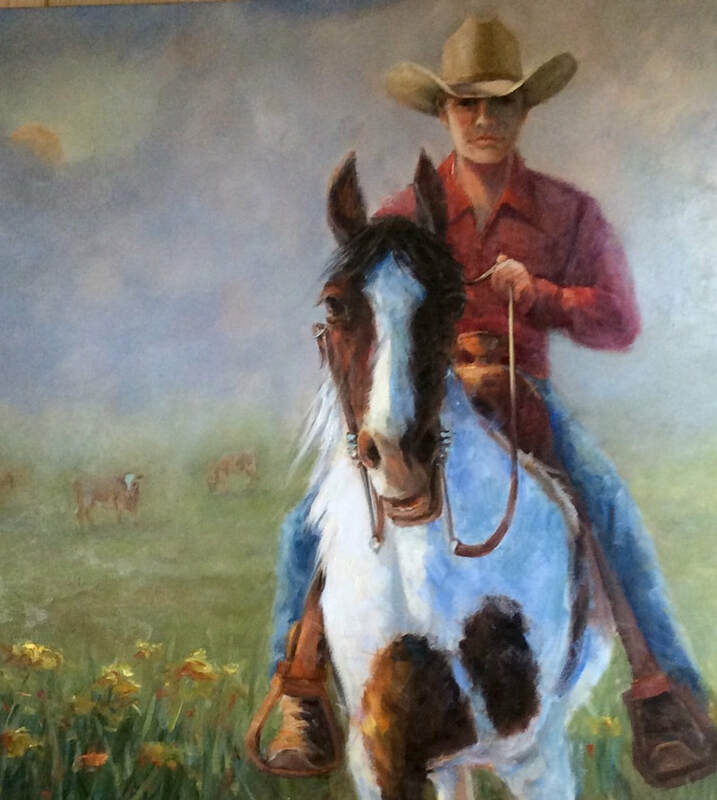 I paint farm animals to express their very soul. 2017. 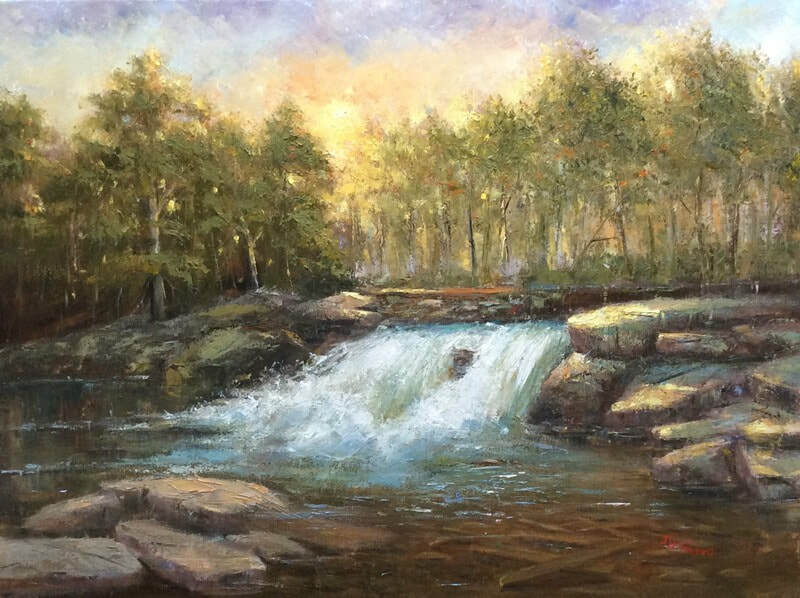 I have taken many workshops from well know artist such as Roger Dale Brown, Julee Hutchison, Donny Finley to name a few. I have exhibited through out the southeast. Also taught at Southern Union Collage, Wadley, AL.